Clinique 7 Day Scrub Review (2018): Does It Really Deliver Results? Clinique is a skincare brand that was well ahead of the trends of the times. 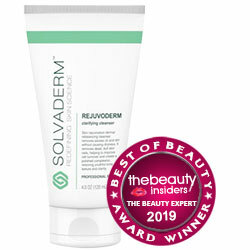 It gained brand recognition for pioneering the creation of a product line that was formulated and tested by skincare specialists, and which were designed to cater to the very different skin needs of target customers by introducing the categorization of products based on skin type, such as normal, oily, dry, or combination. That caught the attention of consumers as well as that of industry giant, Estée Lauder, which continues to maintain the professional skin care brand image of Clinique. Clinique 7 Day Scrub Cream, US $22 for 3.4 oz., helps fulfill the need for dry skin to be exfoliated regularly without getting irritated. Clinique 7 Day Scrub Cream : Does it really work? 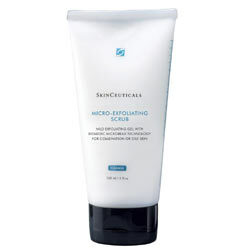 This product delivers on its claims by facilitating physical exfoliation using fine grains of silica powder, with a little help from natural surfactants to make it easier to eliminate impurities from your skin. What are the ingredients in Clinique 7 Day Scrub Cream? propylene glycol: is used as a moisturizer to treat or prevent dry, rough, scaly, itchy skin and minor skin irritations but at same time the ingredient can inhibit skin cell growth and damage cell membranes, causing rashes, dry skin, and surface damage. Cocos Nucifera (Coconut) Oil: Delivers moisturizing as well as antimicrobial and anti-inflammatory functions that promotes a clearer skin. Disodium Cocoamphodipropionate: Loosens up the impurities seated on top of your skin, making these easier to dissolve into the solution and flush it off of your skin. Bisabolol: Promotes better skin synthesis, it also soothes and calms irritated skin. This product has been guaranteed by the manufacturer to be suitable for use on most of the skin types but may cause issue while using it on sensitive skin type. This product is not formulated with parabens, chemicals that can disrupt normal estrogen levels and potentially cause dysfunctions in organs that estrogen regulates as well. This product contains several ingredients that are well-known to cause irritations and allergic reactions, which means that this product isn’t recommended for use on all skin types after all, contrary to manufacturer’s advice. Many Clinique 7 Day Scrub Cream reviews demonstrate how different people respond differently to this product. Does Clinique 7 Day Scrub Cream have any Side Effects? Skin irritations and allergic reactions due to several ingredients, including Butylene Glycol. Increased risk for causing permanent damage due to Chlorphenesin, Triethanolamine, and Potassium Sorbate. Increased risk for diseases associated with the reproductive system due to EDTA. Increased risk for nerve and brain damage due to phenoxyethanol. Clinique 7 Day Scrub Cream must be used several times each week, applying the product after your regular cleanse. Massage into skin to work up a lather before rinsing thoroughly to completely wash off the product from your skin. Clinique 7 Day Scrub Cream provides a simple and gentle way of giving your skin a deep cleanse several times a week to help maintain a clear, blemish-free skin. This, however, is not a product that suits everybody. In fact, in general, scrubs are not recommended for certain skin types, including those who are prone to acne breakouts and those with sensitive skin. Your skin’s tolerance to the formula will also be a huge factor. Under which conditions, you should consider other means of exfoliation.